The challenge of working with an object building like this one is finding ways of complementing its unique shape rather than obscuring it. 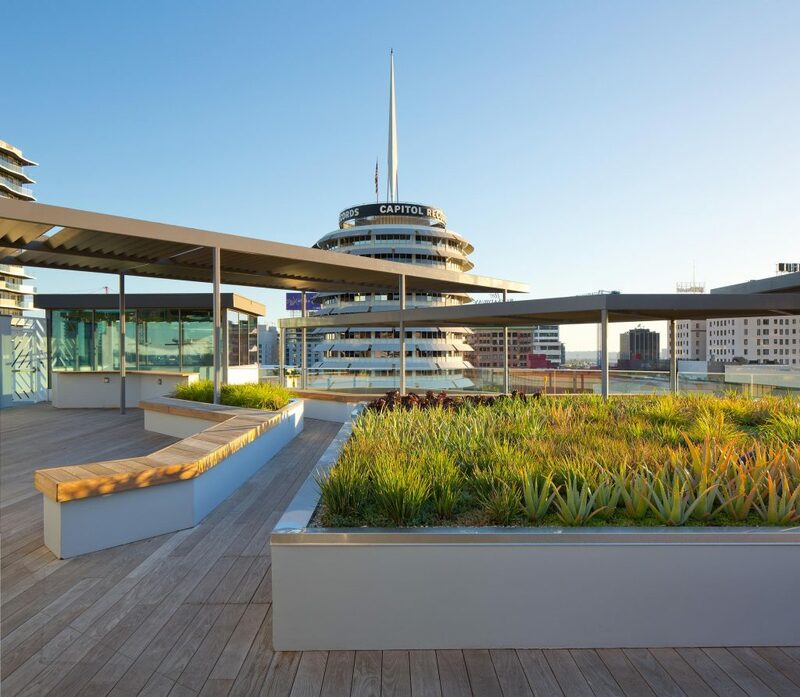 So when the client asked us to design a roof deck, terrace, and entry stairway for the 1982 building, we highlighted its octagonal shape by placing planters and triangular benches at 45-degree angles, creating unexpected little nooks for outdoor relaxation. 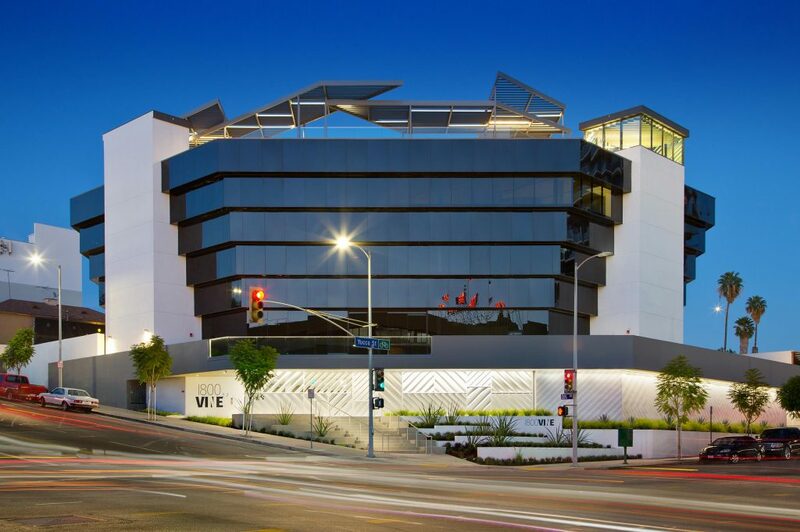 The new grand entry stair bisects the building’s southwest corner of the building and mitigates an elevation change from street level to the building lobby. 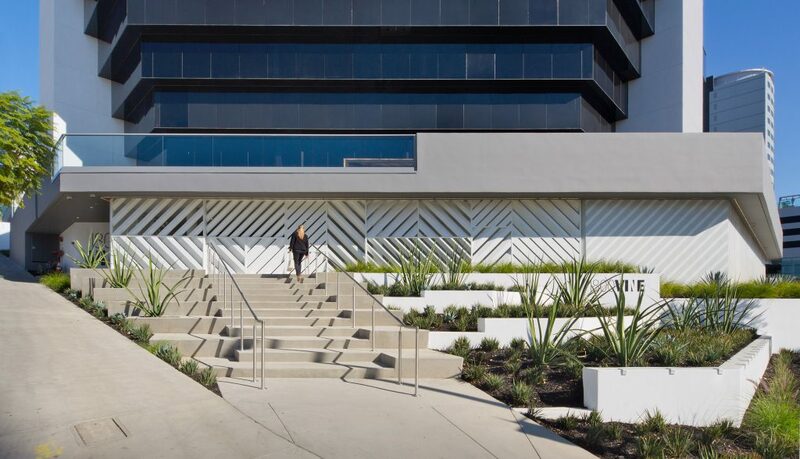 A wall of patterned screens adds needed security to the perimeter, while a new backlit address sign in the same vernacular announces the building’s presence day and night. 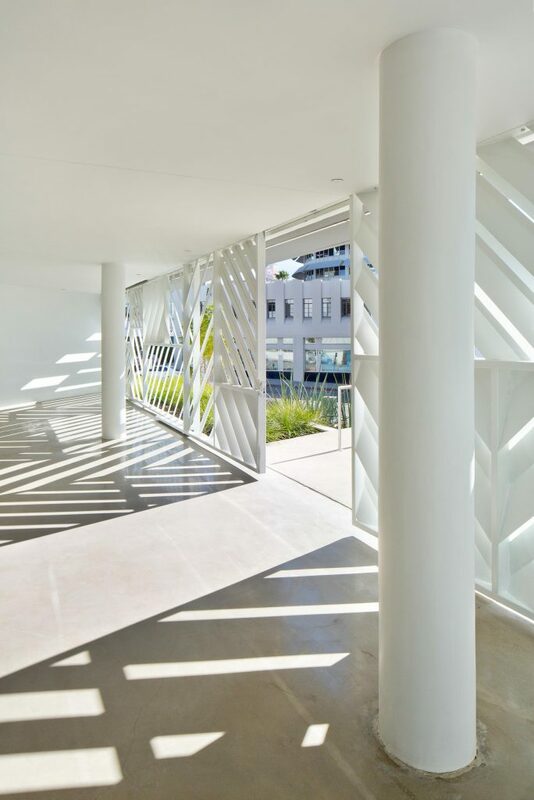 The first-floor terrace sits atop this new entry, with discreet areas for working, meeting, and socializing. 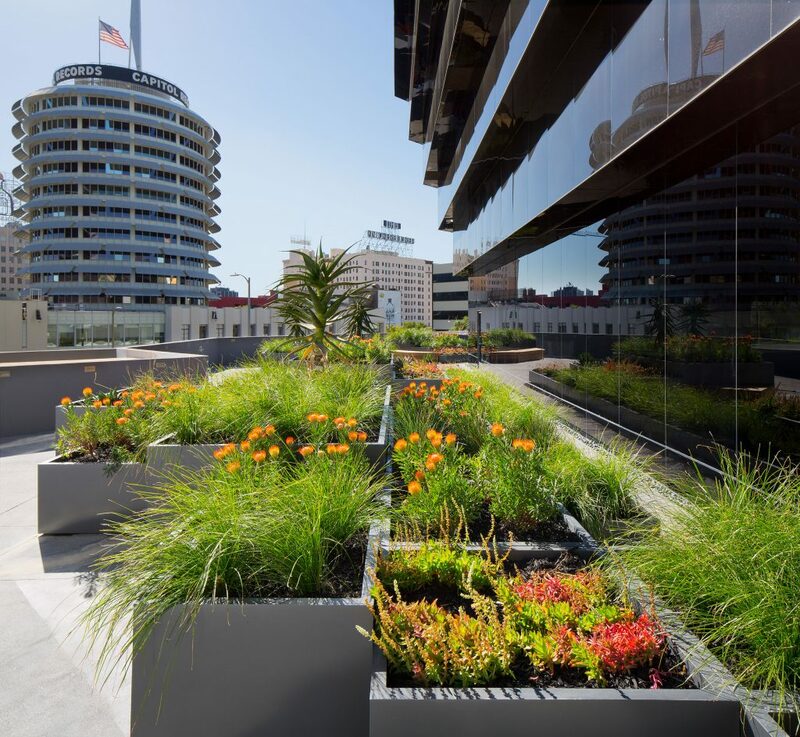 The placement of planter boxes was similarly strategic here, only in this case the goal was to keep the occupancy within the legal limit. 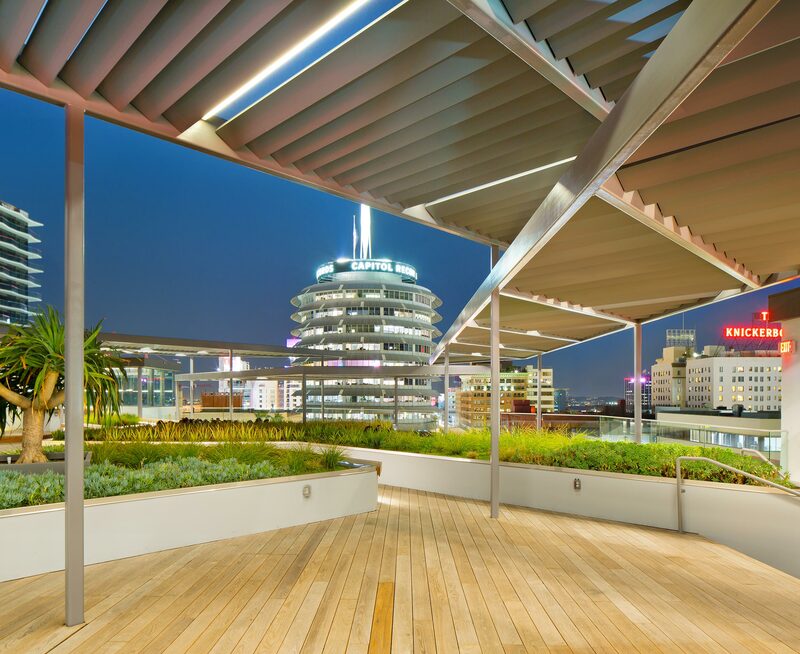 Each of the roof deck’s four quadrants features a different theme and plant palette. Shady plants populate the northeast; the southeast is wild, eclectic, and lush. Low, trailing, textured plants occupy the southwest, while the northwest quadrant is dense, soft, and lush. 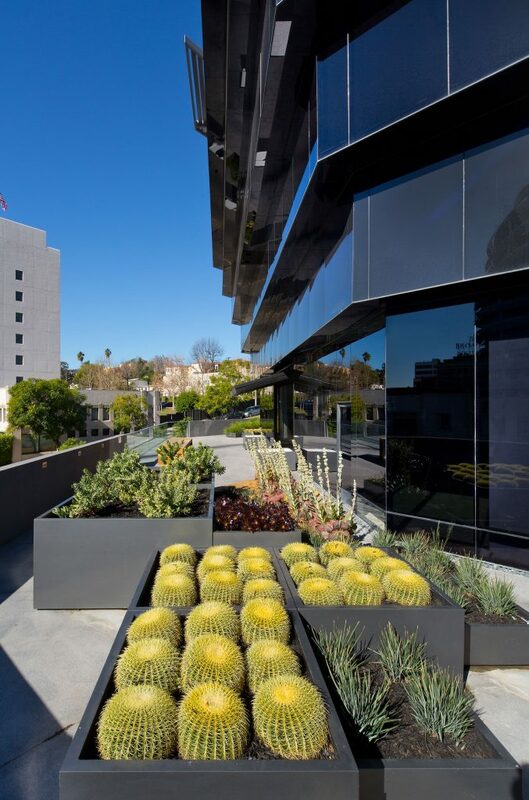 Our client’s preference is for uniquely-shaped desert flora with interesting-looking blooms like dianella “little rev” and agave tequilana. 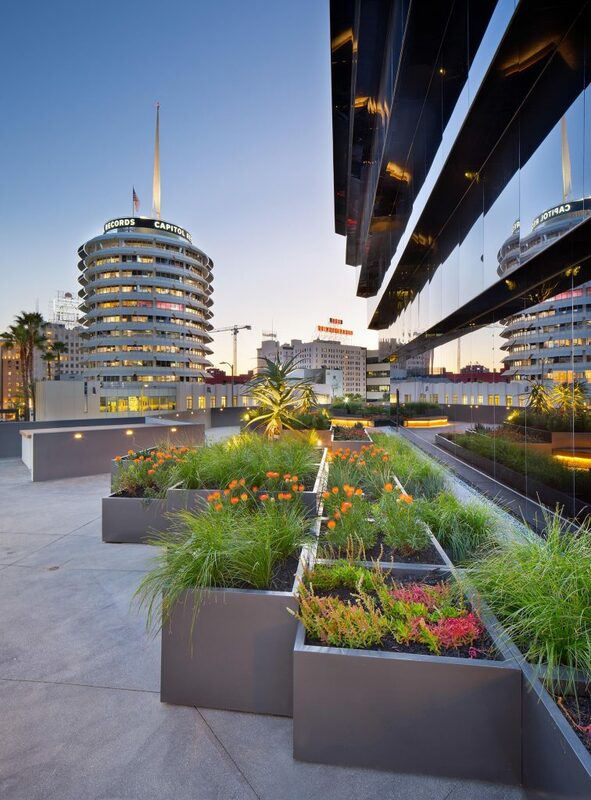 To ensure that the building would have an abundant supply of mature plants from day one, we grew them off-site in 2’ x 4’ trays, which we later arranged across the rooftop in the planters.